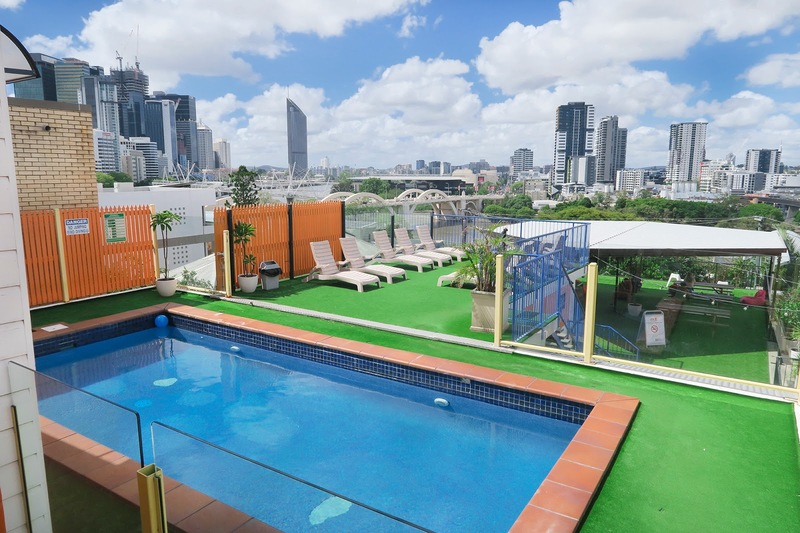 TRAVEL - CITY BACKPACKERS HQ - BRISBANES BEST BACKPACKER HOSTEL! We're officially half way through out trip down the East Coast of Australia and in the lively city of Brisbane! 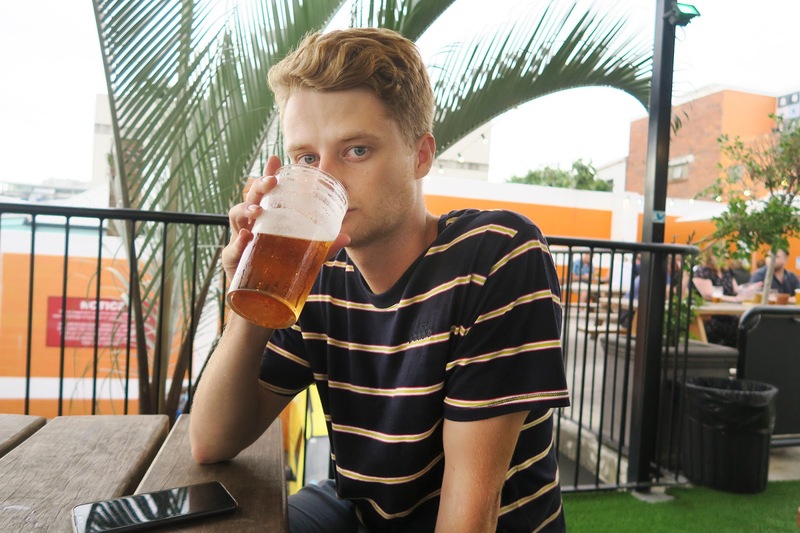 If you want to be in the heart of Brisbane, make lots of buddies and not break the bank then look no further than City Backers HQ. 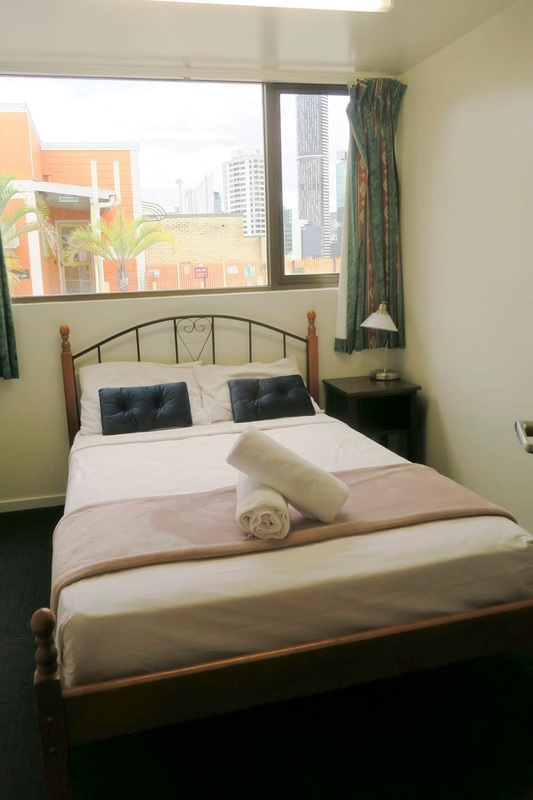 With rooms to suit every type of backpacker and offering plenty of high quality facilities - you will not be disappointed! 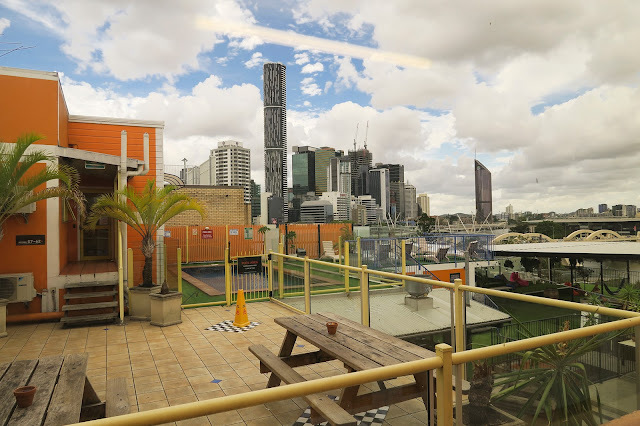 We partnered with City Backpackers HQ for our first 4 nights in Brisbane, and to say we were thrilled with our stay would be an understatement. 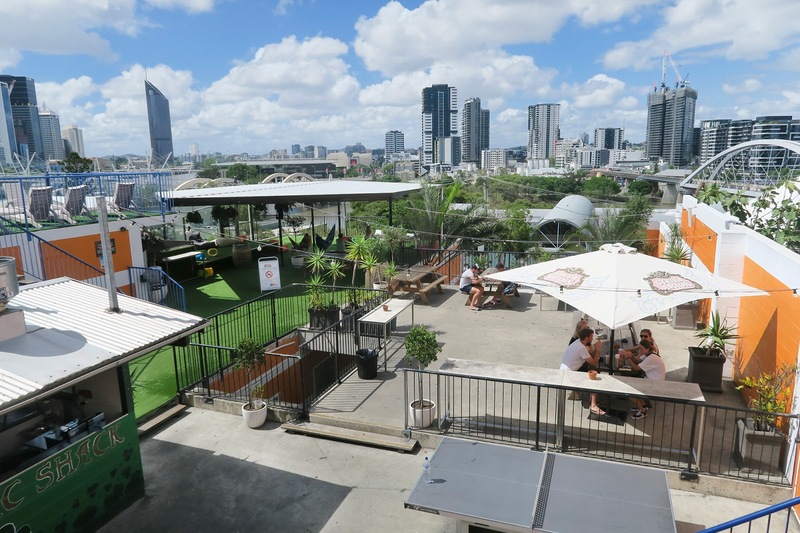 We made new friends, got to have a dip in the pool while looking over the city skyline, had a few $5 beers in their onsite bar and so much more! 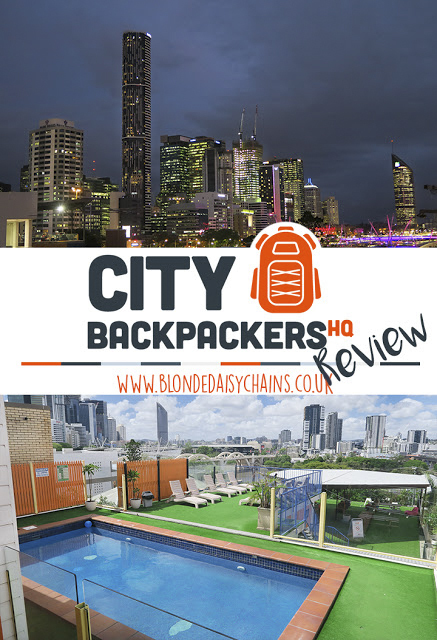 If you're thinking of heading to Brisbane soon and looking for a recommendation then here is an honest review about our experience during our stay at City Backpackers HQ. Covering everything you want/need to know about the hostel and why you HAVE to stay there. Happy reading! 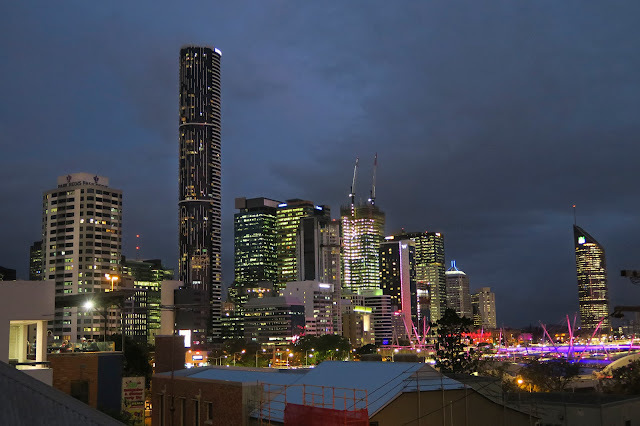 As stated at the start, you are literally in the heart of Brisbane. It's just a 10 minute walk over to the science center, museum, art gallery and so much more. There is a fantastic pub on site - but if you fancy venturing out to a local gem, I highly recommend The Fox Hotel - which is only a 15 minute walk away. There is a cinema and Aldi just across the road, and you're a two minute walk from the nearest City Cycle Rack. Let's not forget that you're just far enough out of the city to make the venue relatively quiet from noise and commuting - and bonus, you get this amazing view of the city! Booking is really simple. You can either book your stay directly through their website to guarantee the best price possible. Including discounts for booking a one week or more stay. Alternatively, City Backpackers is available on the majority of booking websites including Booking and Hostelworld. 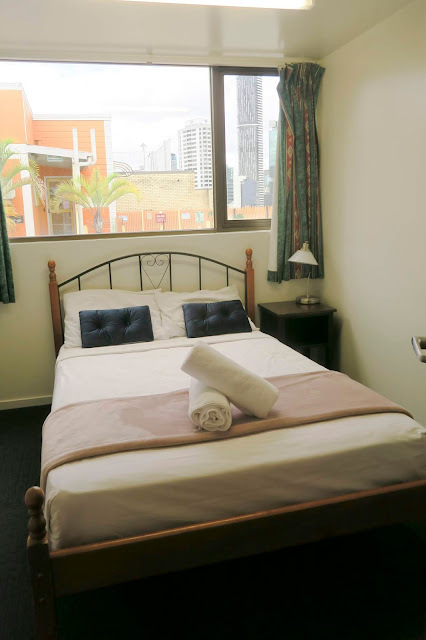 You are able to book anything from a bed in a 16 bed dorm, female only room or a couples room. During our time at the hostel, we stayed in a private double room which looked over the decking with a view of the city. Our room was spotless, included curtains, a mirror and also had a clothing rail we could hand our outfits. There was room for us to slide our backpacks under the bed and plenty of room to walk around the room as we needed. Even though our room looked over the decking, we couldn't hear the other backpackers outside the window - they we're either really quiet all the time or the glass just blocked it out. The room across the hall was an 8 bed dorm, it would be a bit noisy while the guys were getting ready for the evening, but normally died down around 9pm when every one hit the bar. Directly across the hall from our room was a small toilet, perfect for people like me who need a loo all the time! and literally 5 steps away were the communal bathrooms. This hostel is super chilled. I really liked how there was only a small desinated smoking area in the corner of the balcony. It mean't the smell and smoke didn't drift over to everyone trying to enjoy their evening. Everybody we met during our stay were super friendly and wanted to get to know you. You'll find when you travel as a couple, people don't want to disturb you - but we met so many great people we enjoyed every night. The hostel holds offers every night in bar/restaurant - we took full advantage of the $5 pints. Cheapest you'll find in Brisbane! With the open air outside area, including a swimming pool - you honestly felt relaxed everywhere you went. The kitchen was very busy between 5-7pm, but any other time we were often the only ones using the kitchen. Upstairs included a cinema room with big leather sofas and Netflix, we caught a few films over our time staying there. The hostel also has a jobs club, once you arrive, just ask them to add your name and number to the jobs books - if any calls come in looking for working they'll give you a call!